Transform your life. Rewrite your destiny. 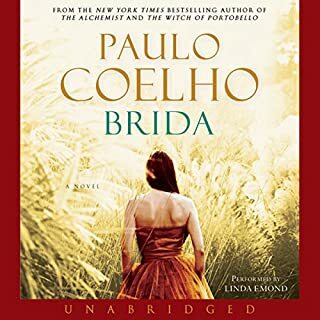 his most personal novel to date, internationally best-selling author Paulo Coelho returns with a remarkable journey of self-discovery. Like the main character in his much-beloved The Alchemist, Paulo is facing a grave crisis of faith. 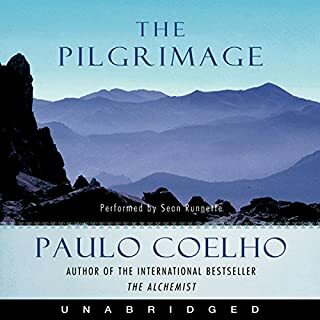 As he seeks a path of spiritual renewal and growth, he decides to begin again: to travel, to experiment, to reconnect with people and the landscapes around him. Setting off to Africa, and then to Europe and Asia via the Trans-Siberian Railway, he initiates a journey to revitalize his energy and passion. At the end of the 19th century, the young missionary Henry Drummond was asked to replace a famous preacher. Though at the beginning he did not convince the audience, they were soon captivated by his analysis of the words of the Apostle Paul. This sermon, The Greatest Thing in the World, has become a classic and is, without doubt, one of the most beautiful texts ever written on love. This is the story of Brida, a young Irish girl, and her quest for knowledge. She has long been interested in various aspects of magic but is searching for something more. Her search leads her to people of great wisdom, who begin to teach Brida about the spiritual world. As Brida seeks her destiny, she struggles to find a balance between her relationships and her desire to become a witch. Coehlo's poignant, deeply spiritual tale of Pilar, an independent and practical yet restless young woman whose life is forever changed by an encounter with a childhood friend who has grown to be a mesmerizing and handsome seminarian. Together they embark on a journey through the French Pyrenees, where they explore the "[F]eminine face of God" and make the dramatic discovery that love is God. Twenty-four-year-old Veronika seems to have everything - youth and beauty, boyfriends and a loving family, a fulfilling job. But something is missing in her life. So, one cold November morning, she takes a handful of sleeping pills expecting never to wake up. But she does - at a mental hospital where she is told that she has only days to live. The Witch of Portobello is the story of a mysterious woman named Athena, told by the many who knew her well - or hardly at all. Like The Alchemist, The Witch of Portobello is the kind of story that will transform the way listeners think about love, passion, joy, and sacrifice. It begins with a glimpse or a passing thought. It ends in obsession. One day a renowned author discovers that his wife, a war correspondent, has disappeared leaving no trace. Though time brings more success and new love, he remains mystified - and increasingly fascinated - by her absence. Was she kidnapped, blackmailed, or simply bored with their marriage? The unrest she causes is as strong as the attraction she exerts. On the occasion of the centenary of Mata Hari's execution for espionage in 1917, Paulo Coelho reconsiders her life and character in a fictional memoir. In a series of letters written from prison on the eve of her death, Mata Hari reflects on the choices she has made to always pursue her own truth - from her childhood in a small Dutch town to unhappy years as the wife of an alcoholic diplomat in Java to her calculated and self-fashioned rise to celebrity in Paris and across Europe as an exotic dancer. Almustafa, the chosen and beloved, must leave the port of Orphalese upon the ship he has waited upon for 12 years. As he descends to the waterfront, the people of Orphalese gather to question him and hear his wisdom on important topics of their daily lives. Kahlil Gibran's masterpiece is a series of enlightening, philosophical answers to those questions. The inspirational and spiritual words of The Prophet, written in an almost Biblical, poetic style, reveal deep insights into each of the subjects in question. 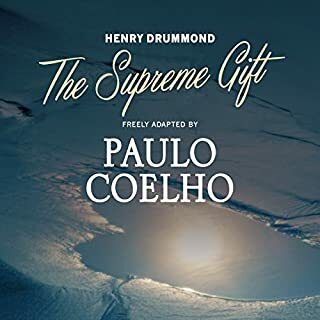 Paulo Coelho inspired millions around the world and became one of the most beloved storytellers of our time with the international best-selling phenomenon The Alchemist. 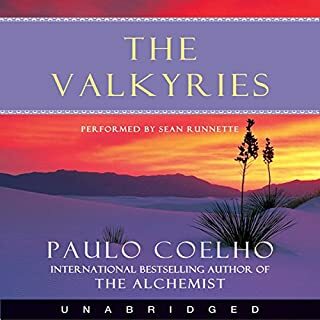 Now, in the beloved companion to his classic, The Warrior of The Light: A Manual invites us to live out our dreams to embrace the uncertainty of life and to rise to our own unique destiny. 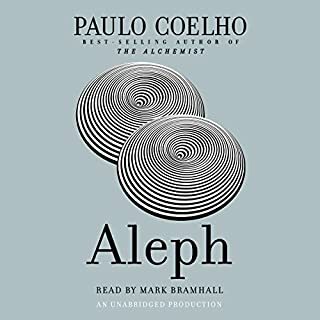 In his inimitable style, Paulo Coelho shows listeners how to embark upon the way of the Warrior: the one who appreciates the miracle of being alive, the one who accepts failure, and the one whose quest leads him to become the person he wants to be. This was very well written. Helps you to pinpoint, recognize and accept you life's path. Keeps you focused. Examples author gives are great. Would you consider the audio edition of Warrior of the Light to be better than the print version? Paulo's books are simple and clear. This one is quite different from his usual style. What other book might you compare Warrior of the Light to and why? Which character – as performed by Greg Wagland – was your favorite? What did you learn from Warrior of the Light that you would use in your daily life? Thanks for this change of pace in Paolo Coelho's writing style. Most definitely a most AWESOME read! Everyone should read this at least once in life. The author spoke directly to me. Many of the examples resonated and gave me a better understanding of how I'm wired. I would recommend this book to anyone traveling or looking for inspiration. 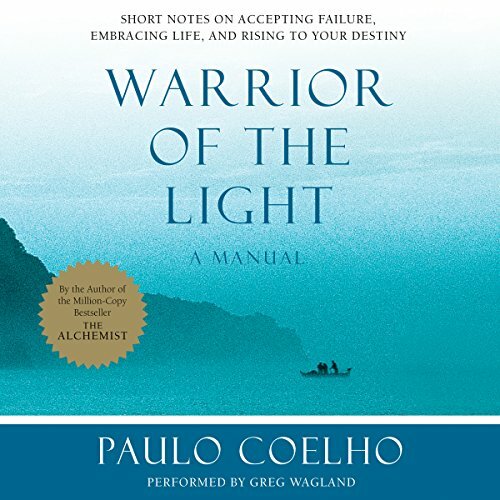 Paulo Coehlo does a great job describing the life of a warrior of the light in a way that we can relate to. This book gave me a sense of peace alongside inspiration to keep living my life to the fullest. I highly recommend this book. story if I can even call it that, constantly repeats itself. very dull not entertaining or helpful. Where does Warrior of the Light rank among all the audiobooks you’ve listened to so far? This ranks at the top of one of my favorite books. A must read! This was nothing like the Alchemist don't waste your money. No storytelling at all. Just a book describing what "a warrior of the light is supposed to be". Sort of like a checklist of what one should look for in oneself as a warrior. 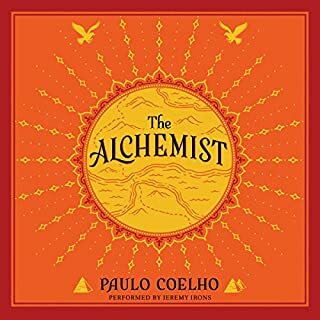 Maybe good for self reflection but not very entertaining and insightful like the Alchemist or the pilgrimage. You may be amazed at how much this story will resonate with you. There will be many aha moments.